Diabetes is a condition that effects over 29 Million people nationwide and one serious side effect is poor skin health. Many of us are well aware of the risk of heart disease yet relatively very few know about the link between diabetes and the detrimental effects it can have on the skin. Diabetic skin is often very dry and dehydrated. Aside from making sure you are getting proper nutrition and exercise, using an intensive, hydrating moisturizer is vital to keeping your skin healthy. Many diabetic patients who use Skin Repair Lotion can attest to its effectiveness in keeping their skin moisturized and combating many side effects of diabetes such as redness, poor circulation, itchiness, rashes, and even burning or boils to varying degrees of intensiveness. For people with diabetes, one major problem is poor circulation which can dry out the skin, cause swelling and numbness or loss of sensation. Diabetics often have tingling and itchiness in their hands, legs, feet and toes because of this. In severe cases, which are not too uncommon, diabetic patients will even have to get toes or limbs amputated. Circulatory problems that can also develop into high blood pressure, which puts further strain on the heart. Luckily, Kalaya oil (emu oil) and Shea butter, found in Skin Repair Lotion, have beenclinically proven to increase circulation along with nourishing the skin. Vitamin E in Shea butter has been shown to increase microcirculation which results in increased blood supply to and from the skin. Kalaya oil boosts the transfer of oxygen to your skin which enables blood to flow more easily and helps repair and rehydrate your skin. Kalaya oil is also able to penetrate all 7 layers of the skin and is highly effective at repairing skin cell damage at it’s core. Another property found in Skin Repair Lotion is Aloe Vera and along with Kalaya oil and Shea butter, It is anti-bacterial and hypoallergenic. These ingredients aid in reducing redness and irritation and have healing properties that slow the loss of water and neutralize free radicals. 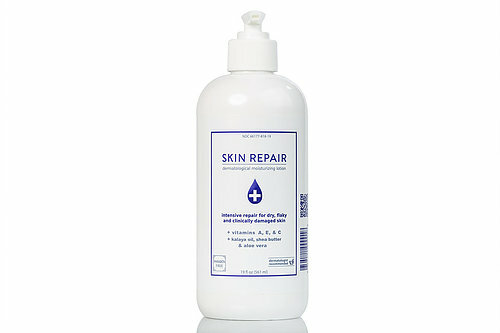 Skin Repair Lotion comes recommended by countless doctors and dermatologists as part of your daily skincare routine that will nourish and replenish your skin cells using its unique formula. The science behind Skin Repair Lotion and the success many diabetic patients have had with the product is a true testament. Healthy skin matters and taking care of it should be as central to your daily regiment as managing your blood sugar levels and ensuring a balanced diet.